American test pilot astronaut 1978-1993. Flew 550 combat missions in Vietnam. USAF helicopter pilot who would fly his T-38 trainer at alarmingly low altitude during cross-country trips. Paradoxically later appointed NASA Administrator for Safety. Status: Inactive; Active 1978-1993. Born: 1941-01-07. Spaceflights: 3 . Total time in space: 18.96 days. Birth Place: Washington, District of Columbia. PERSONAL DATA: Born January 7, 1941, in Washington, D.C. His wife, the former Barbara Archer of Washington, D.C., is deceased. They have two grown children. Frederick, D., Jr., is a Captain in the Air Force, and a graduate of Stanford University. Heather Lynn is a social worker and graduate of Sweet Briar College. Recreational interests include water skiing, fishing, hunting, specialty cars, and stereo equipment. EDUCATION: Graduated from Anacostia High School, Washington, D.C., in 1958; received a bachelor of science degree from the United States Air Force Academy in 1964, and a master’s degree in information systems from George Washington University in 1977. ORGANIZATIONS: Member, Society of Experimental Test Pilots, Order of Daedalians, American Helicopter Society, Air Force Academy Association of Graduates, the Air Force Association, Sigma Pi Phi Fraternity, the National Technical Association, and the Tuskegee Airmen. He is also on the Board of Directors for the Young Astronaut Council, the Challenger Center for Space Science Education, and the Virginia Air and Space Center-Hampton Roads History Center. SPECIAL HONORS: Awarded the Defense Superior Service Medal, 2 Distinguished Flying Crosses, the Defense Meritorious Service Medal, the Meritorious Service Medal, 16 Air Medals, the Air Force Commendation Medal, and 3 NASA Space Flight Medals. Recipient of the NASA Outstanding Leadership Award; the National Society of Black Engineers Distinguished National Scientist Award (1979); an honorary doctor of science degree from the University of the District of Columbia (1986); and the George Washington University Distinguished Alumni Award. Designated an "Ira Eaker Fellow" by the Air Force Association. Recipient of numerous NASA group and individual achievement awards as well as civic and community awards. EXPERIENCE: After graduating from the United States Air Force Academy in 1964, Gregory entered pilot training and attended undergraduate helicopter training at Stead Air Force Base, Nevada. He received his wings in 1965 and was assigned as an H-43 helicopter rescue pilot at Vance AFB, Oklahoma, from October 1965 until May 1966. In June 1966, he was assigned as an H-43 combat rescue pilot at Danang AB, Vietnam. When he returned to the United States in July 1967, he was assigned as a missile support helicopter pilot flying the UH-1F at Whiteman AFB, Missouri. In January 1968, Gregory was retrained as a fixed-wing pilot flying the T-38 at Randolph AFB, Texas. He was then assigned to the F-4 Phantom Combat Crew Training Wing at Davis-Monthan AFB, Arizona. Gregory attended the United States Naval Test Pilot School at Patuxent River Naval Air Station, Maryland, from September 1970 to June 1971. Following completion of this training, he was assigned to the 4950th Test Wing, Wright Patterson AFB, Ohio, as an operational test pilot flying fighters and helicopters. In June 1974, Gregory was detailed to the NASA Langley Research Center, Hampton, Virginia. He served as a research test pilot at Langley until selected for the Astronaut Program in January 1978. Gregory has logged more than 6,976 hours flying time in over 50 types of aircraft -- including 550 combat missions in Vietnam. He holds an FAA commercial and instrument certificate for single- and multi-engine airplanes and helicopters. He has authored or co-authored several papers in the areas of aircraft handling qualities and cockpit design. NASA EXPERIENCE: Gregory was selected as an astronaut in January 1978. 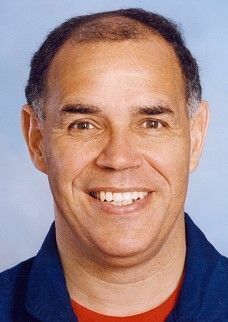 His technical assignments included: Astronaut Office representative at the Kennedy Space Center during initial Orbiter checkout and launch support for STS-1 and STS-2; Flight Data File Manager; lead spacecraft communicator (CAPCOM); Chief, Operational Safety, NASA Headquarters, Washington, D.C.; Chief, Astronaut Training; and a member of the Orbiter Configuration Control Board and the Space Shuttle Program Control Board. A veteran of three Shuttle missions he has logged over 455 hours in space. He served as pilot on STS-51B (April 29 to May 6, 1985), and was the spacecraft commander on STS-33 (November 22-27, 1989), and STS-44 (November 24 to December 1, 1991). Gregory served at NASA Headquarters as Associate Administrator for the Office of Safety and Mission Assurance (1992-2001), Associate Administrator for the Office of Space Flight (2001-2002), and NASA Deputy Administrator (2002-2005). Gregory resigned from NASA in October 2005. SPACE FLIGHT EXPERIENCE: STS-51B/Spacelab-3 launched from Kennedy Space Center, Florida, on April 29, 1985. The crew aboard the Orbiter Challenger included spacecraft commander, Robert Overmyer; mission specialists, Norman Thagard, William Thornton, and Don Lind; and payload specialists, Taylor Wang and Lodewijk Vandenberg. On this second flight of the laboratory developed by the European Space Agency (ESA), the crew conducted a broad range of scientific experiments ranging from space physics to the suitability of animal-holding facilities. The crew also deployed the Northern Utah Satellite (NUSAT). After seven days of around-the-clock scientific operations, Challenger and its laboratory cargo landed on the dry lakebed at Edwards AFB, California, on May 6, 1985. Mission duration was 168 hours, 8 minutes, 47seconds. STS-33 launched at night, from Kennedy Space Center, Florida, on November 22, 1989. On board the Orbiter Discovery, Gregory’s crew included the pilot, John Blaha, and three mission specialists, Manley (Sonny) Carter, Story Musgrave, and Kathryn Thornton. The mission carried Department of Defense payloads and other secondary payloads. After 79 orbits of the Earth, this five-day mission concluded on November 27, 1989, with a hard surface landing on Runway 04 at Edwards AFB, California. Mission duration was 120 hours, 7 minutes, 32 seconds. STS-44 launched at night from the Kennedy Space Center, Florida, on November 24, 1991. During 110 orbits of the Earth, the crew successfully deployed their prime payload, the Defense Support Program (DSP) satellite. They worked on a variety of secondary payloads ranging from the Military Man in Space experiment designed to evaluate the ability of a space borne observer to gather information about ground troops, equipment and facilities, and also participated in extensive studies evaluating medical countermeasures to long duration space flight. The crew aboard the Orbiter Atlantis included the pilot Tom Henricks; three mission specialists, Story Musgrave, Jim Voss, and Mario Runco Jr.; and payload specialist Tom Hennen. The mission concluded on December 1, 1991, with a landing at Edwards Air Force Base in California. Mission duration was 166 hours, 50 minutes, 42 seconds. BIRTHPLACE AND DATE: Born January 7, 1941, in Washington, D.C. His mother, Mrs. Nora D. Gregory, is a resident of Washington, D.C. PHYSICAL DESCRIPTION: Brown hair; brown eyes; 5 feet 11 inches; 190 pounds. EDUCATION: Graduated from Anacostia High School, Washington, D.C., in 1958; received a bachelor of science degree from the United States Air Force Academy in 1964, and a master's degree in Information Systems from George Washington University in 1977. MARITAL STATUS: Married to the former Barbara Archer of Washington, D.C. Her father, Mr. Aaron E. Archer, resides in Forest Heights, Maryland. CHILDREN: Frederick D., Jr., a Captain in the Air Force, and a graduate of Stanford University. Heather Lynn, a social worker and graduate of Sweet Briar College. RECREATIONAL INTERESTS: During his free time, he enjoys water skiing, fishing, hunting, specialty cars, and stereo equipment. EXPERIENCE: After graduating from the United States Air Force Academy in 1964, Gregory entered pilot training and attended undergraduate helicopter training at Stead AFB, Nevada. He received his wings in 1965 and was assigned as an H-43 helicopter rescue pilot at Vance AFB, Oklahoma, from October 1965 until May 1966. In June 1966, he was assigned as an H-43 combat rescue pilot at Danang AB, Vietnam. When he returned to the United States in July 1967, he was assigned as a missile support helicopter pilot flying the UH-1F at Whiteman AFB, Missouri. In January 1968, Gregory was retrained as a fixed-wing pilot flying the T-38 at Randolph AFB, Texas. He was then assigned to the F-4 Phantom Combat Crew Training Wing at Davis-Monthan AFB, Arizona. Gregory attended the United States Naval Test Pilot School at Patuxent River Naval Air Station, Maryland, from September 1970 to June 1971. Following completion of this training, he was assigned to the 4950th Test Wing, Wright Patterson AFB, Ohio, as an operational test pilot flying fighters and helicopters. In June 1974, Gregory was detailed to the NASA Langley Research Center, Hampton, Virginia. He served as a research test pilot at Langley until selected for the Astronaut Program in January 1978. Gregory has logged more than 6,500 hours flying time in over 50 types of aircraft -- including 550 combat missions in Vietnam. He holds an FAA commercial and instrument certificate for single- and multi-engine airplanes and helicopters. He has authored or co-authored several papers in the areas of aircraft handling qualities and cockpit design. NASA EXPERIENCE: Gregory was selected as an astronaut in January 1978. His technical assignments have included Astronaut Office Representative at the Kennedy Space Center during initial Orbiter checkout and launch support for STS-1 and STS-2, Flight Data File Manager, lead Capsule Communicator (CAPCOM), Chief, Operational Safety, NASA Headquarters, Washington, D.C., Chief, Astronaut Training, and a member of the Orbiter Configuration Control Board. A veteran of three Shuttle missions, he served as pilot on STS-51B (April 29 - May 6, 1985), and was the spacecraft commander on STS-33 (November 22-27, 1989), and STS-44 (November 24 - December 1, 1991). On his first mission, Gregory was pilot on STS-51B/Spacelab-3 which launched from Kennedy Space Center, Florida, on April 29, 1985. The crew on board the Orbiter Challenger included spacecraft commander, Robert Overmyer; mission specialists, Norman Thagard, William Thornton, and Don Lind; and payload specialists, Taylor Wang and Lodewijk Vandenberg. On this second flight of the European Space Agency (ESA) developed laboratory, the crew members conducted a broad range of scientific experiments ranging from space physics to the suitability of animal holding facilities. The crew also deployed the Northern Utah Satellite (NUSAT). After seven days of around-the-clock scientific operations, Challenger and its laboratory cargo landed on the dry lakebed at Edwards AFB, California, on May 6, 1985. He was the spacecraft commander on STS-33 which launched, at night, from Kennedy Space Center, Florida, on November 22, 1989. On board the Orbiter Discovery, his crew included the pilot, John Blaha, and three mission specialists, Manley (Sonny) Carter, Story Musgrave, and Kathryn Thornton. The mission carried Department of Defense payloads and other secondary payloads. After 79 orbits of the earth, this five day mission concluded on November 27, 1989, with a hard surface landing on Runway 04 at Edwards AFB, California. More recently, Colonel Gregory commanded a crew of six aboard the Orbiter Atlantis. STS-44 launched at night on November 24, 1991 from the Kennedy Space Center, Florida. During 110 orbits of the Earth the crew successfully deployed their prime payload, the Department of Defense Support Program (DSP) satellite in addition to working on a variety of secondary payloads ranging from the Military Man in Space experiment designed to evaluate the ability of a spaceborne observer to gathering information about ground troops, equipment and facilities, to participating in extensive studies evaluating medical countermeasures to long duration space flight. His crew included the pilot Tom Henricks, three mission specialists, Story Musgrave, Jim Voss, and Mario Runco Jr., and payload specialist Tom Hennen. The mission concluded on December 1, 1991 with a landing at Edwards Air Force Base in California. With the completion of his third mission, Gregory has logged over 455 hours in space. CURRENT ASSIGNMENT: On April 28, 1992, Colonel Gregory was appointed Associate Administrator, Office of Safety and Mission Quality, NASA Headquarters, Washington, D.C.
Family: Astronaut. Country: USA. Flights: STS-51-B, STS-33, STS-44. Projects: STS. Agency: USAF. Bibliography: 12, 4457, 5464. 1941 January 7 - . Birth of Frederick Drew 'Fred' Gregory - . Nation: USA. Related Persons: Gregory. American test pilot astronaut 1978-1993. Flew 550 combat missions in Vietnam. USAF helicopter pilot who would fly his T-38 trainer at alarmingly low altitude during cross-country trips. Paradoxically later appointed NASA Administrator for Safety. 3 spaceflights, 19.0 days in space. Flew to orbit on STS-51B (1985), STS-33, STS-44. 1985 May 6 - . Landing of STS-51-B - . Return Crew: Gregory, Lind, Overmyer, Thagard, Thornton, Bill, van den Berg, Lodewijk, Wang. Nation: USA. Related Persons: Gregory, Lind, Overmyer, Thagard, Thornton, Bill, van den Berg, Lodewijk, Wang. Program: Spacelab. Flight: STS-51-B. STS-51-B landed at 16:13 GMT. .